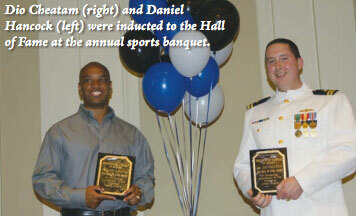 to establish school pride in athletics through recognizing past contributors to the program. Coach Freace started his soccer career at a young age playing as early as first grade. He went on to play four years of soccer at Houghton College, where he played in three national tournaments, won 3 region and 2 conference championships. 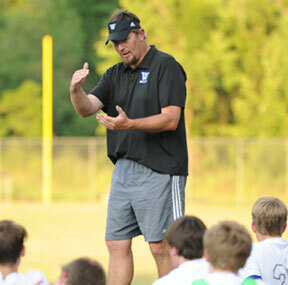 Coach Freace, who has captured over 400 career varsity wins, coached both the boys and the girls soccer programs during his 17 years at Westminster. In 2018, he left Westminster and the Augusta area to pursue God’s calling on his life in ministry with the Charlotte Eagles as part of the Missionary Athletes International in Charlotte, North Carolina. 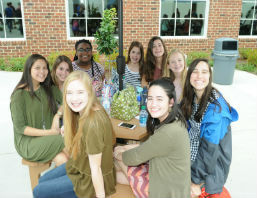 The first line of the Wildcat Way states, "Honor Christ first," and Coach Freace modeled that for his students and all those who worked with him throughout his years at Westminster. In his acceptance remarks, he said, "I think maybe the most difficult part of being up here is that it goes against what I have preached to our program for 17 years . . . we are all part of something bigger, it is not about us. Even as our teams approach this evening, we talk about being gracious for what has been given to us, but always making sure to give honor where it should be given. So my goal is to give honor where it is deserved..."
Jack Moon was hired by the first Westminster headmaster, Otis Balkcom, out of Asbury College. Mr. 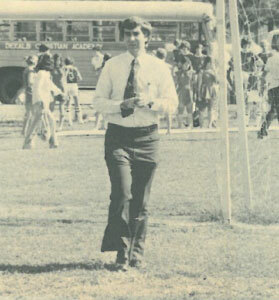 Moon was the first boys’ soccer coach at Westminster when soccer began back in 1972. 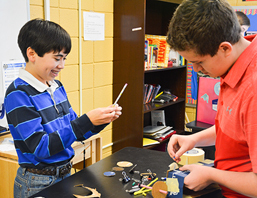 He was the founding coach for what has become one of Westminster’s most successful programs. Mr. Moon also taught science and PE and coached other sports. 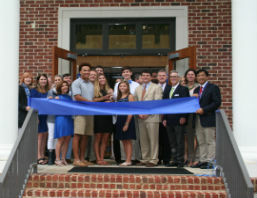 After a five-year stint at Westminster, he went on to get a Master’s degree at the University of Kentucky and to work at multiple other schools, including serving as an administrator at the Seoul Foreign School in Seoul, Korea. 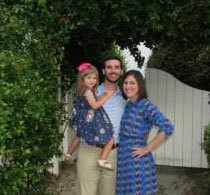 Taylor Ellison graduated from Westminster in 2004. While at Westminster, he played soccer, basketball, and baseball. An outstanding soccer player, Taylor was a member of the 2001 State Championship Soccer team and was All-Region and All-State as a senior. As a senior, he was also named All-Region in both basketball and baseball, earning Best Defensive Player honors in basketball and Best Offensive Player honors in baseball. Because of his excellence in all three sports, Taylor was named Male Athlete of the Year his senior year. Taylor graduated from the University of Georgia in 2008 and the Medical College of Georgia in 2012. He went on to do his residency in Vascular Surgery in New Orleans at LSU. His nominator said that Taylor was “one of the most popular and respected teammates and competitors in the seven classes that I saw and played with." Bennett Ford graduated from Westminster in 2002. He was a four-year starter in soccer, basketball, and baseball. A very talented soccer player, he was a member of two state championship soccer teams (2000, 2001), was named All-Region and All-State his senior year, and was the team’s Most Valuable Player. Bennett is one of the select few Westminster basketball players to achieve “1000 Point Club” status. He was an All-Region basketball player his senior year and was named Best Offensive Player twice during his Westminster career. He also excelled on the baseball field, earning Best Defensive Player honors his sophomore year. For his all-around athletic prowess, Bennett was chosen as the Male Athlete of the Year as a senior. After graduating from Westminster, Bennett graduated from Georgia Tech. 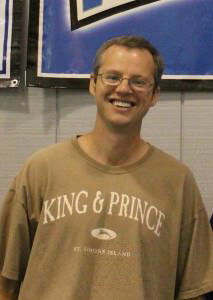 Will Boyd attended Westminster from 1991-2004. A very skilled soccer player, he was a member of the 2000 and 2001 state championship teams and received All-State and All-Region honors during his four years on the varsity team. Will served as team captain his junior and senior year and was named the team’s Most Valuable Player as a senior. Will initially attended Mars Hill College on a soccer scholarship and was named the Defensive Player of the Year during his freshman season. He then transferred to Presbyterian College, where he was a member of the men’s soccer inaugural Division 1 season his senior year. He graduated with honors in 2008 with a degree in biology. Will received his Doctor of Medical Dentistry from the School of Dentistry at the Medical College of Georgia in 2012. 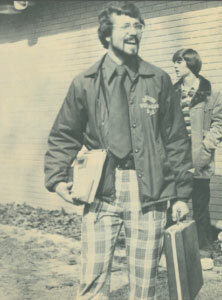 Chris Lutz, who attended Westminster from 1978 to 1988, was a member of Westminster’s first graduating class. He played a part in laying the foundation of excellence Westminster has come to be known for both in the classroom and on the field. 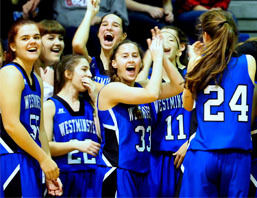 During his time at Westminster, Chris participated in both soccer and basketball. Chris was named to the GISA All-Region team all four years, made All-State and was named Most Valuable Player in soccer. He also received the Jack Moon Award for leadership and outstanding performance on the soccer field. Chris also made the GISA All-Region basketball team and was named Most Valuable Player for four consecutive years at Westminster. He received the Otis Balcom Award for leadership and outstanding performance on the basketball court and made the All-State team several times. After graduation from Westminster, Chris attended Augusta College, where he played soccer and graduated with a Bachelor of Arts in political science. Chris is a graduate of Leadership Columbia County, a Chamber of Commerce program, and he has a passion for servant leadership and being intentional about stewarding his business and influence to make an eternal impact. Chris credits his years at Westminster for laying the foundation for this passion and challenges Westminster’s current student-athletes to recognize the opportunities Westminster brings so they can establish their own foundations in order to impact and touch others’ lives. Ann Elizabeth Pollard Lazari attended Westminster from 1991-2004. 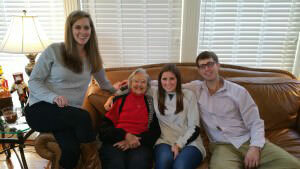 During her time at Westminster, Ann Elizabeth participated in and excelled in soccer. During her four years on the girls varsity team, she was named the team’s Best Defensive Player for three consecutive years as well as the team MVP her senior year. She also served as captain for several of those seasons. In addition, she received All Region honors all four years and All State honors multiple years. As a senior, she was named to the All City Girls Soccer Team and received the Morris C. Johnson GISA Coaches Association Athletic-Academic Award. 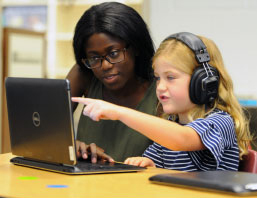 After her graduation from Westminster in 2004, Ann Elizabeth attended Furman University from which she graduated in 2008 with a Bachelor of Science in health and exercise science and a minor in ancient Greek and Roman studies. During college, Ann Elizabeth participated on the Furman University club soccer team for four years and captained the team for two years. Ann Elizabeth graduated from Georgia Regents University with a Masters of Business Administration in May 2013. 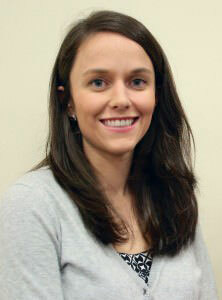 She has also played soccer for the Augusta Amateur Soccer League during part of her time in Augusta after college. Andrew Tyson attended Westminster from 2000-2003, during which time he participated and excelled in baseball and basketball. Andrew’s athletic accomplishments here at Westminster included All-Region baseball, two years of All-Region basketball and All-State basketball. Additionally, during his time at Westminster, he was named Best Defensive Player for the baseball team and Best Offensive Player and MVP for the basketball team. Upon graduation from Westminster, he received a scholarship to play both baseball and basketball for Southern Wesleyan University. After Southern Wesleyan, Andrew transferred to Augusta State University where he graduated with a Bachelors of Science in education with a minor in business. Andrew also earned a graduate degree in counseling. Tufik Assad played varsity soccer and ran on the varsity track team for four years while at Westminster. He was twice named Best Defensive Soccer player. He was also named to the GISA All-Region soccer team three times. As a senior, Tufik was GISA All-State in both soccer and track. After graduating from Westminster in 2001, Tufik enrolled at Boston University. In 2005, he graduated with a double major in biochemistry and philosophy and then entered the Medical College of Georgia for medical school. 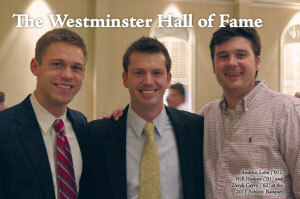 Austin Jackson played soccer, golf and tennis during his time at Westminster. As a tennis player, he was chosen Most Valuable Player and received GISA All-State honors his senior year. In soccer, he was named GISA All-Region and GISA All-State for three consecutive years. 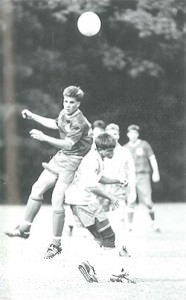 Austin ('01) initially went to Washington and Lee University and played soccer there. He transferred to the University of Georgia the next year, where he walked on the football team as a kicker for one season. He graduated from UGA in 2005 with a degree in political science and Latin. Austin also received a degree from the University of South Carolina School of Law. 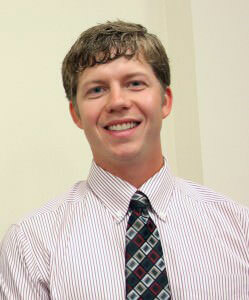 Andrew Lehn '01, a three-sport letterman at Westminster, had offers to play in college. He was named to the All-State soccer team in 2000 and was the MVP on Westminster‘s first state championship team. He was also designated as an All-Region baseball player on two occasions. Andrew graduated with a pre-med degree from Bob Jones University and then earned his Medical Doctorate from the Medical College of Georgia. While in high school, Will Hudson '01 was an All-State player in soccer and tennis and an All-Region player in basketball and golf. 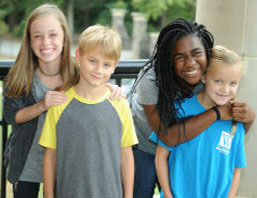 He was an MVP in three sports at Westminster, and he toured with the Junior Tennis Circuit and was a ranked tennis player in the state of Georgia. Will received offers to play soccer and tennis in college. Derek Curry '02 was salutatorian. While at Westminster, he was honored with the Outstanding Student Award and was named to the All-State basketball team three times. He scored more than 1,800 points for WSA. Derek was also an All-Region player in baseball and All-Region runner in cross-country, winning the 1999 region cross-country meet. Though he had offers to play college basketball, Derek chose to attend the Georgia Institute of Technology to major in chemical engineering. He graduated with honors from Georgia Tech. Daniel Hancock '97 was on the first basketball team at the school to qualify for a AAA state playoff game. He was a starter on the team for five years and compiled more than 1,000 points in his career. Daniel was also involved with baseball and cross-country while at Westminster. He is a graduate of the U.S. Naval Academy. Dio Cheatam '92 was captain of the boys soccer team for three years and a member of the first soccer team to achieve more than eight wins in a season at Westminster. Anna Day Batzig ’99 ran cross-country and track and played soccer at Westminster. She was a four-year member of the cross-country team, serving as captain for her last three years. She was named Most Valuable Runner all four years. Earning GISA All-State honors, she was the GISA State Champion two years. Anna also played soccer for two years and ran track for two years. On the track team, she served as co-captain for one year and was the Most Valuable Runner honoree both years on the team. Anna was chosen as a Channel 6 Scholar Athlete as a junior and was the Westminster Female Athlete of the Year her senior year. David Hanks has been a part of the Westminster community since 1978. As a parent and then a grandparent, a trustee and then a trustee emeritus, David is a most ardent supporter of all things Westminster. He has been a faithful Wildcat fan for numerous years, continuing to cheer on Westminster athletes long after his own children graduated. 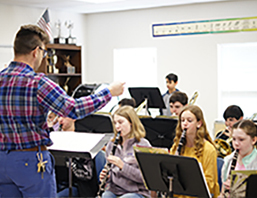 In every way, he supports the school as it “seeks to glorify God by providing an excellent education that equips students to live extraordinary lives for Jesus Christ." 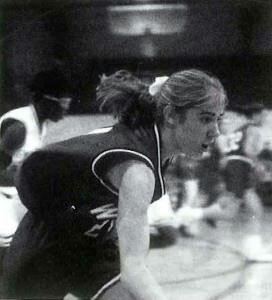 Anna Merwin Peppinger graduated from Westminster in 1996 and excelled in basketball and track. She was GISA All-State and state champion in the two-mile race. She won the Most Outstanding Athlete award at WSA for 1994-95 and 1995-96. She also received the Christian Leadership Award at WSA for 1995-96. Chad Cook graduated from Westminster in 1994. He still holds the title of the boys basketball all-time leading scorer with 1,900 points. He was also recognized as a GISA All-State basketball player. After graduating from Westminster, he played basketball for South Carolina State and Augusta State University. 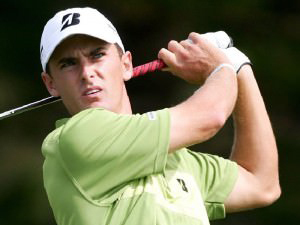 Charles Howell III graduated from Westminster in 1997 where he was named a GISA All-State golf player and state champion. At the collegiate level, he was named the NCAA Individual National Champion for Oklahoma State and won the NCAA team championship in 2000. He was named an All American in 1998, 1999 and 2000. Charles has gone on the be a member of the PGA Tour. Julianne Savage Halvorson graduated from Westminster in 1999. During her time playing soccer for the Wildcats, she was named a GISA All-State player three times and broke the school record for goals in a season and career. She earned the Most Outstanding Athlete award at WSA for the 1996-97 season. After graduating Westminster, she went on to play soccer for Covenant College and led the team to two NAIA National Tournaments. 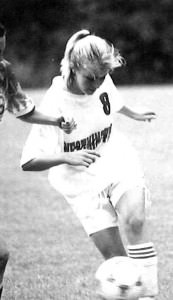 Her soccer accolades while at Covenant include team captain, first team All AAC in 2002, team MVP in 2002, first team All Region in 2002 and honorable mention All American in 2002. The 2002 team on which she played holds the record for most wins and least goals allowed (17). 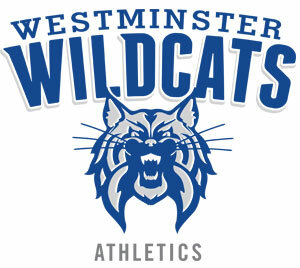 John House graduated from Westminster in 1993 and was a two-time All State soccer player during his time playing for the Wildcats. John went on to play soccer for Princeton University where he was named All Ivy League First Team in 1995 and All Ivy League Academic in 1996. 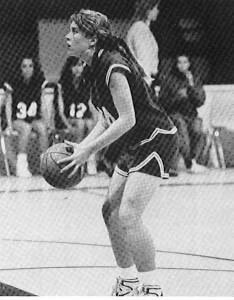 Amy Hancock Robertson graduated from Westminster in 1992 where she excelled at basketball and track. She scored 1,000 points while playing for the Wildcat basketball team and was named Most Outstanding Athlete at WSA for the 1988-89, 1989-90, 1990-91 and 1991-92 seasons. She also received the Westminster Christian Leadership Award in 1998-89 and 1991-92. 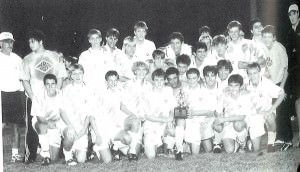 The 2000 State Championship Soccer team was the first-ever state championship team at Westminster. During the 1999-2000 season, the team ended with a 19-2-2 overall record, was ranked #10 in the NSCAA Region 4, and scored 127 goals while only allowing 12 goals. 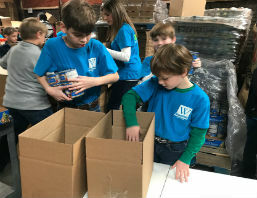 Team members include: Andrew Anderson, Tufik Assad, Edmund Booth, Joey Boyd, Jack Eubank, John Eubank, Matthew Farmer, Bennett Ford, Will Hudson, Austin Jackson, Andrew Lehn, Joey Matsinger, Chris Mullins, Lee Pollard, Zach Pollard, Morgan Purvis, Alex Savage and Aaron Scogin. A number of groups or individuals can qualify for the Hall of Fame. Any student athlete, team, coach or community individual who has made an impact on Westminster athletics can be nominated.